Since Barry Trotz became head coach and Brian MacLellan was promoted to general manager in 2014, the Capitals have posted a record of 35-27 in the playoffs. During that span, Washington has registered the third-most playoff wins and has played the second most playoff games in the NHL, behind the Pittsburgh Penguins. Of the players currently on the roster for the Capitals, 11 players were directly acquired by MacLellan, and 22 have either signed or re-signed with the Capitals over the last four years. During the regular season, the Capitals hold a 205-89-34 record over the last four years and the lead the NHL in wins. Additionally, the Capitals 1,003 goals for rank third, while their 805 goals against rank second. Washington is the only team in the NHL to rank in the top-5 in both respective categories. Additionally, Washington's 23.2 power play percentage ranks first, while their 82.6 penalty kill percentage ranks sixth. Kuz Control- Evgeny Kuznetsov recorded four assists in Game 4 to match a single-game Stanley Cup Final record, achieved by 11 other players (most recent: Colorado’s Joe Sakic in Game 2 of the 1996 Final). Kuznetsov’s four assists also equaled a Capitals’ single-game playoff record, achieved by Scott Stevens in Game 6 of the 1988 Patrick Division Final against New Jersey and Andrei Nikolishin in Game 3 of the 1998 Eastern Conference Final against Buffalo. Kuznetsov, who leads the playoffs with 31 points (12g, 19a) in 23 games, became the fifth NHL player since 1997 to register 30 or more points in a single postseason. Kuznetsov (Chelyabinsk, Russia), who owns a five-point lead over teammate Alex Ovechkin (14g-12a), is seeking to become the third Russian-born player to lead the NHL in postseason scoring since 1943-44. The only two thus far: Detroit’s Sergei Fedorov (Pskov, Russia) in 1995 and Pittsburgh’s Evgeni Malkin (Magnitogorsk, Russia) in 2009 and 2017, respectively. Earlier this postseason, Kuznetsov went on an 11 game point streak (6g, 10a), establishing a new franchise record for the longest point streak during the playoffs. Kuznetsov's point streak was the longest playoff point streak by any player since 2010 and just the fifth point streak of at least 11 games since 1997. Kuznetsov currently has 22 points (7g, 15a) in his last 14 games. Dating back to Feb. 24, Kuznetsov has 59 points (23g, 36a) in 41 games. Additionally, Kuznetsov is the eighth Russian-born player to record double digits in goals for a single playoff year and the fifth to do so at 25 or younger. The Great 8 - Caps captain Alex Ovechkin has 14 goals this posteseason, tying John Druce’s goal total in the 1990 playoffs for the most in franchise history. In addition, Ovechkin’s 14 goals are tied for the second-most goals by a Russian-born player in a single postseason in NHL history (Evgeni Malkin: 14, 2009; Pavel Bure: 16, 1994). Ovechkin is now one goal shy of Sidney Crosby (2009, 15 goals) for the most goals in a single postseason over the last 10 seasons. This postseason, Ovechkin has registered 26 points (14g, 12a). Ovechkin, who is fourth among active players with 60 career playoff goals, is tied with Joe Mullen, Brendan Shanahan and Doug Gilmour for 31st in NHL history. Ovechkin’s .504 goals per game average is the eighth-highest rating in NHL history among players with at least 110 playoff games played. Among the top 10 active career playoff goal scorers, Ovechkin ranks fourth, and his 0.504 goals per game ranks first among players on that list. In 120 career playoff games, Ovechkin has 116 points (60g, 56a) and ranks first in franchise history in playoff games played, goals, points, power play goals (20), power play points (49), game-winning goals (8), shots (541) and second in assists. Ovechkin aims to become the third player in NHL history to score 600 career regular-season goals before winning his first Stanley Cup (Luc Robitaille: 620 goals before 2002 Cup; Dave Andreychuk 634 goals before 2004 Cup). Additionally, Ovechkin can become the 16th player in NHL history to play at least 1,000 career regular-season games before winning his first Cup and the second to do so with the team for which he has played at least 1,000 games (Steve Yzerman with Detroit). He also seeks to become the ninth player to have 1,000 career points before capturing his first Cup. If the Capitals win the series and capture the Stanley Cup, Ovechkin (Moscow, Russia) would become the first Russian player to captain a Stanley Cup champion. Super Carly - John Carlson scored in Game 4 to record his 54th career playoff point (18g, 36a). That point total matches Calle Johansson (12g, 42a in 95 games) for the most postseason points by a defenseman in Capitals history. Carlson also owns the franchise playoff record for goals by a blueliner (18) and ranks third in assists by a defenseman (36), behind Scott Stevens (44) and Johansson (42). Carlson's 19 points this postseason (5g, 14a) are the most points by a defenseman in Capitals history in a single postseason, and his 19 points are the most among defensemen this postseason and the third most in a single postseason by a defenseman over the last five years. Carlson has recorded a point in 14 of the Capitals’ 23 games this postseason. Holtbeast – Braden Holtby has posted a 15-7-0 record with a 2.13 goals-against average and a .923 save percentage in 22 games this postseason. His 15 wins set the Capitals' franchise record for most in a postseason. In his playoff career, Holtby has posted a record of 44-37 with six shutouts (tied with Kolzig for the franchise record), a 2.03 goals-against average and a .929 save percentage in a franchise-record 81 playoff games. The Lloydminster, Saskatchewan, native ranks second in NHL playoff history (min. 50 games played) in career save percentage and second in career goals-against average. In addition, Holtby ranks first among active NHL goaltenders (min. 20 games played) in career playoff save percentage and goals-against average. Holtby has allowed two goals or fewer in 52 of his 81 career playoff games and Washington has posted a 38-14 record in those games. All That Power - The Caps converted on three of their five power play opportunities in Game 4. That marked the second time during the postseason Washington recorded three power play goals in a single game (Eastern Conference quarterfinal versus Columbus Blue Jackets, Game 2, April 15) and the 14th time in franchise history. The Capitals have converted on 21 of their 71 power play opportunities this postseason, good for a 29.6 percent success rate. Among teams with at least 60 opportunities, only two have converted at a higher rate during a single playoff year since the NHL officially began tracking power-play percentage in 1977-78 (1981 New York Islanders: 31 of 82, 37.8 percent; 1994 Toronto Maple Leafs: 22 of 74, 29.7 percent). The Capitals hold a 12-3 record this postseason when they score a power play goal. Eight different Capitals have recorded a power play point this postseason, with Nicklas Backstrom (12a) and Evgeny Kuznetsov (3g, 9a) leading the team and the playoffs in power play points. Washington Post: The Captain, the Cup and history: Alex Ovechkin on brink of uncharted territory / Capitals’ Chandler Stephenson has parlayed his versatility into a bright NHL future / Golden Knights’ Karlsson skips practice, but will play in Game 5 / Svrluga: As Barry Trotz and the Capitals near the peak, who knows what’s on the other side? / D.C. Sports Bog: This fan spent 15 years visiting NHL arenas. He’ll add Vegas to the list with Game 5. 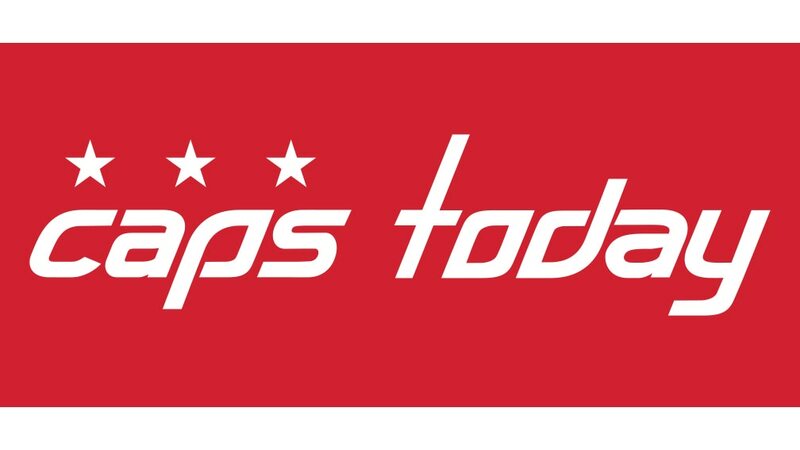 / D.C. Sports Bog: Capitals Game 5 watch party sells out in minutes, amid massive demand / D.C. Sports Bog: ESPN’s Scott Van Pelt says there’s nothing ‘minor league’ about D.C.’s Caps hysteria / D.C. Sports Bog: Capitals Game 5 watch party sells out in minutes, amid massive demand / D.C. Sports Bog: A brief oral history of the Capitals fans who threw crabs at the 1998 Stanley Cup finals / Gridlock: Metro to remain open an extra hour for Stanley Cup game 5 — an away game / Going Out Guide: Didn’t get tickets to the Capitals Game 5 watch party? Head to one of these spots instead. Sacramento Bee: Washington is a win from ending 26-year wait. Which of these title-starved cities is next? Sports Illustrated: Original Capitals Owner Irene Pollin Enjoying Team's Run in Stanley Cup Final / How Many Stanley Cups Have the Capitals Won? USA Today: From 500-1 odds to a 3-1 in Stanley Cup Final deficit: How Golden Knights can do unthinkable again / Which Stanley Cup Final city is more sinful, Las Vegas or Washington? TSN Montreal 690: 3 Starr Quiz: Are you disappointed with the Stanley Cup Final?